This product is not available for store pickup. 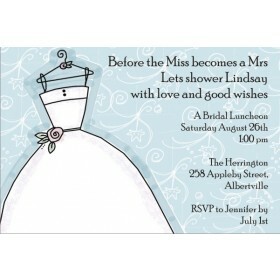 Celebrate the upcoming marriage of a loved one with our Wedding Dress Die Cut Bridal Shower invitation. 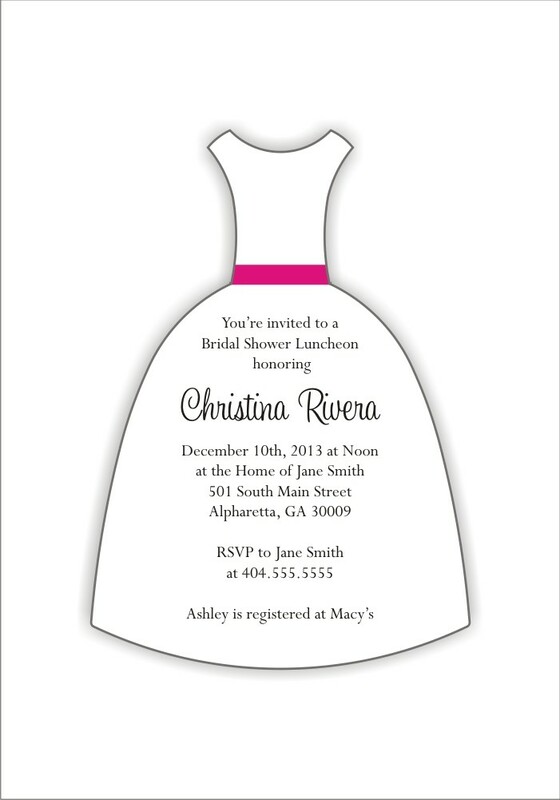 This unique invite is die cut in the shape of the dress. 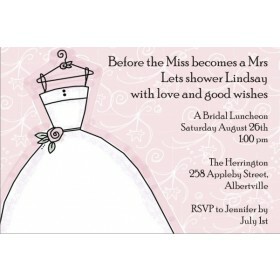 You can customize this bridal shower invitation with the wording of your choice. 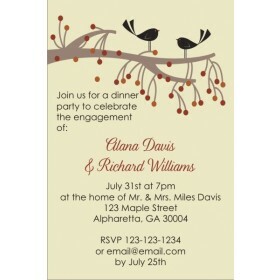 The invitation is approximately 4.75 inches at it's widest point and 6.75 inches tall. 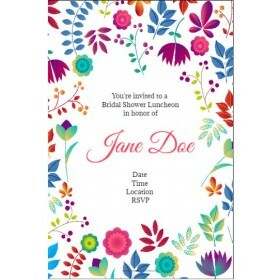 Includes a white envelope.